Clyde is a powerful voice in parapolitical and paranormal news and commentary. With a diverse background in news, acting, writing and radio, he entertains and captivates audiences across multiple platforms. Lewis’ career in radio began in Utah in 1982 and he created Ground Zero in 1995 in Salt Lake City. 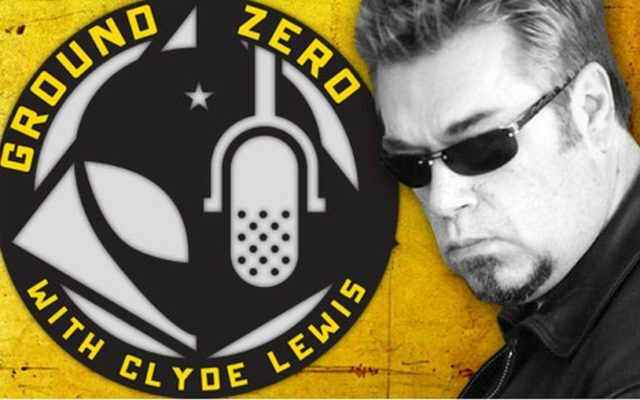 Lewis has produced Ground Zero programs online, on radio and on television. The program (which takes its name from the scientific definition of the term) joined FM News 101 KXL in 2011 and consistently ranks #1 in the market. Lewis has appeared in a SHOWTIME special with magicians Penn & Teller, as well as the television programs Sightings, Strange Universe and the Discovery Channel special Return to the Bermuda Triangle. He has been published in both UFO Magazine and Unknown Magazine, and has been featured in Rolling Stone. Lewis is the model for characters in such books as Safe House by Andrew Vachss, Supernatural Law by Batton Lash, and Alien Invasion by Michael Tresca. A fan of B-horror and science-fiction movies, comic books and mythology, Lewis has also published his own fanzines and co-written scripts for television and radio. He appeared in the movies Nightfall, which he co-wrote with director Kevin Delullo; Cage in Box Elder; and Citizen Toxie: The Toxic Avenger Part IV, in which he provided the voice of the title character. Currently, Lewis is working with lawyer and P.I. Galen Cook on the investigation of the latest suspect in the D.B. Cooper case, Wolfgang Gossett, a one-time associate of Lewis’ and a new suspect in the mysterious case.